The Faculty of Aerospace Engineering counts more than 200 academic members of staff and approximately 250 post-doctoral researchers and PhD candidates. The Faculty research activities covers the areas of aerospace science and technologies aiming at the development of future aircraft and spacecraft concepts, also including wind energy. The Aerospace Engineering laboratories are equipped with state-of-the-art facilities that enable carrying out ambitious research projects. The Faculty’s research groups participate in many international collaborative projects. The main topics of research are illustrated on the websites of the Faculty’s sections. 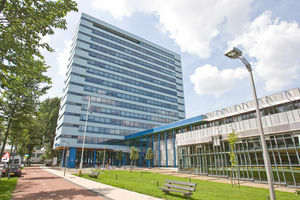 The prevalent PhD research culture at TU Delft is that of independence and self-motivation, critical thought and academic rigour. You will be given the freedom to determine your own learning programme instead of a pre-determined schedule and mandatory classes. You will be encouraged to develop independence in experimentation and research under supervision and have the opportunity to publish in peer-reviewed journals and travel to international conferences. To help you prepare for further career development beyond the PhD degree, TU Delft offers courses to develop your personal competencies. Courses include research ethics, business management and how to write a business plan. Additional courses are also available to train PhD candidates in communication, negotiations and didactic skills.